The World is Changing, at a Click of a Button! Not too long ago, in 2007, Vodafone and Safaricom (Kenya’s largest mobile network operator) launched mPesa – a money transaction service for the unbanked. mPesa, allowed for easy transferring of money from one part of Kenya to another by just using a mobile phone. Mobile phones, devices used for sending text messages and calls, were now facilitating complex financial transactions, saving users an incredible amount of time and effort. 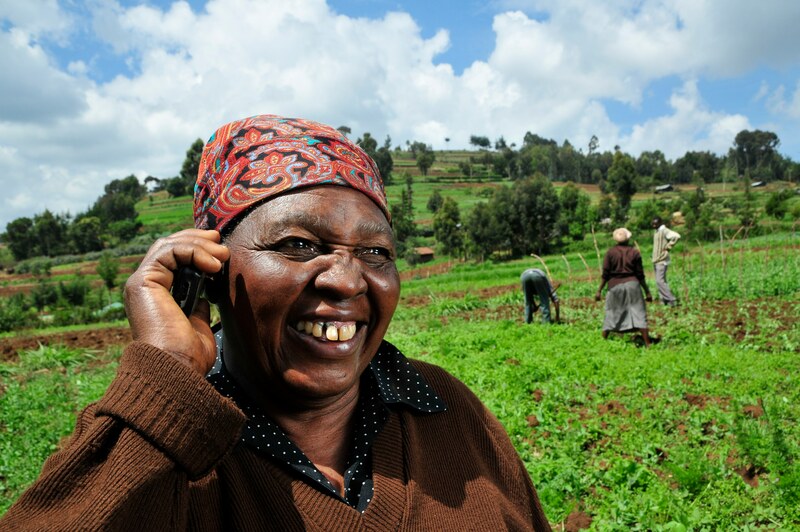 A study suggested that incomes increased by 5-30 percent for all Kenyan households that adopted mPesa. To date, 17 million Kenyans use mPesa, which results in the transfer of funds equivalent to about 25 percent of Kenya’s GDP. This mobile banking solution created a new wave in the way the world approached the financial inclusion challenge. iPhone? – No Thanks! Garbage? – Yes Please! “I was done building the next better iPhone – I wanted to solve real problems, and in India – where I grew up and where the real problems are,” Mani Vajipey the founder of Banyan Nation Recycling had said to me in my first conversation with him. Mani and his co-founder Raj Madangopal decided to quit their high-ranking technology jobs in the US and moved back to their native Hyderabad in 2013 to develop innovative solutions to the waste problem in India. They spent a year surveying and understanding the market before starting Banyan Nation in early 2014. Today, they have a material recovery facility in Hyderabad that produces about twenty tons of high quality plastic recyclables per month and works to integrate, formalize, and legitimize hundreds of informal sector waste aggregators (known locally as “kabadiwalas”). IIX is working to help Mani and his team realize their vision to be one of the largest responsible and sustainable plastics recyclers in India. Since the late 2000’s, Vietnam has become a hub for entrepreneurship, especially in the Information Communication and Technology (ICT) sector. The growth in ICT entrepreneurship can be attributed to two key factors. One, the country has a very young and tech-savvy population. According to World Bank 2013 data, Vietnam has 43.9 Internet users for every 100 people. Mobile cellular subscriptions in the country reached 131 per 100 people in the same year. Most notably, 36 percent of Vietnam’s population, or 33 million people, owns a smart phone, making the country the second largest smart phone market in Southeast Asia, just after Indonesia. Two, tech entrepreneurism in Vietnam has been fueled by the fast growing ecosystem. By 2014, Vietnam had six investment funds, ten incubators as well as numerous online communities and networks focusing solely on tech startups. This conducive ecosystem has churned out several success stories from the startup community in Vietnam such as VNG (an entertainment and social network platform), Vat Gia (a listing website) and VC Corp (a media company), just to name a few.